A crowded SEPTA Regional Rail train at Suburban Station. SEPTA general manager Jeff Knueppel took a moment to boast Tuesday afternoon while participating in an American Public Transportation Association conference call with national press on the efforts of commuter railroads to implement Positive Train Control before a federal deadline at the end of this year. Knueppel listed the challenges SEPTA had to overcome — a lack of federal support, most notably, plus a huge backlog of maintenance projects and not enough state or local money to pay for it all — before admitting that the local rail agency got a little bit lucky, too. Congress required all railroads — Amtrak, freight rail, and commuter lines such as SEPTA’s Regional Rail — to adopt PTC after a deadly Metrolink crash outside Los Angeles in 2008. Officials have said that PTC, which, among other features, automatically enforces train speed limits, would have prevented the Amtrak derailment that killed eight passengers in Philadelphia in 2015. At the time, Amtrak had installed PTC near the derailment site, but had not yet activated the system. SEPTA’s construction budget doubled after Harrisburg passed Act 89, an infrastructure-spending bill fueled by increased gas taxes. The agency also had some luck securing federal grants. SEPTA is only one of two railroad operators in the United States to have already activated PTC on all its trains — Metrolink, in L.A., is the other. Should the freight rail companies meet the deadline, SEPTA will be in full and complete compliance with the law. Amtrak has implemented PTC on all its trains and tracks along the Northeast Corridor, but it leases rails from many local and freight agencies that are farther behind. Many have requested a two-year extension that would give them until Dec. 31, 2020, to finish installing PTC. Locally, NJ Transit recently announced plans to shut down the Atlantic City Line, which runs between Philadelphia and the Jersey Shore resort, in September until early next year, saying the suspension was necessary to make PTC upgrades to the tracks and trains. Internal emails among NJ Transit officials obtained by the Bergen Record and the Philadelphia Inquirer and Daily News, however, suggest the move is motivated more by a desire to shift resources to North Jersey’s busier lines. After the 2015 Amtrak crash, Congress extended the PTC due date to Dec. 31, 2018, noting that most railroad operators were unlikely to meet the deadline. SEPTA completed its primary PTC work last spring, activating the technology on all its Regional Rail trains and tracks, including the rails it leases from Amtrak. But SEPTA also lets two freight railroads, CSX and Norfolk Southern, use its lines, and those railroads are still working to implement PTC on their trains, Knueppel said. CSX is on track to meet the deadline, he noted. “They've gone through testing, and really, at this point, they should be able to start operating under PTC before the end of the year because they're just using the exact same system that we have,” Knueppel said. Multiple competing technologies are available to railroads for implementing PTC. CSX is using the Advanced Civil Speed Enforcement System (ACSES), the same system SEPTA and Amtrak are using. That has cut down on interoperability headaches between the different railroads. 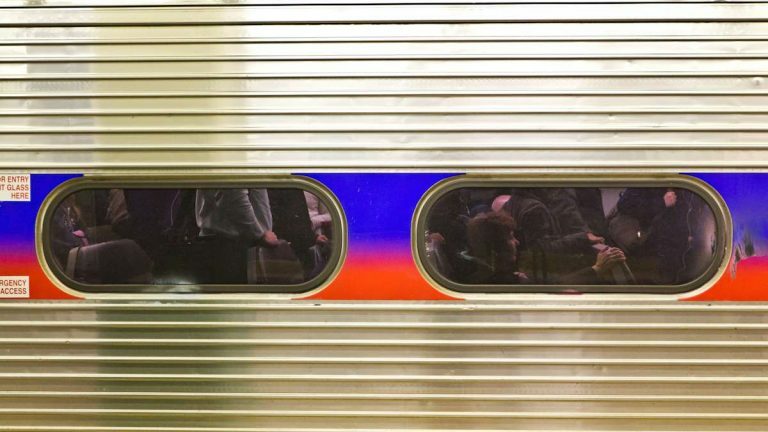 It’s unclear what would happen to SEPTA — or any other railroad — if it failed to meet the federal deadlines.